TEACHING CSS FOR OVER 10YRS! You’ve come to the right place to learn CSS. My tutorials on web design & CSS makes learning this stuff fun and easy – you will be up and running in no time because it ain’t that hard! FRONT END WEB DEVELOPERS (and CSS EXPERTS) AVERAGE YEARLY SALARY IN THE USA: $77,855 – LEARN CSS3 EASILY FOR ONLY 29! This website is all about CSS, a key tool in web design. In case you’re not familiar with CSS: CSS is the sister technology to HTML that is used to style your web pages. The details are in the tutorial, but for now we can say that CSS can make your web pages look great! Buy my 5 star rated book on amazon. Get my interactive video course on HTML5, CSS3 … and it covers much more! As with all my writing, I tried to make this web design tutorial on CSS as easy as possible to follow. Instead of a boring-nerd centric style, I’ve used more of a conversational style. This tutorial website is like anything else in life; you get back what you put into it. 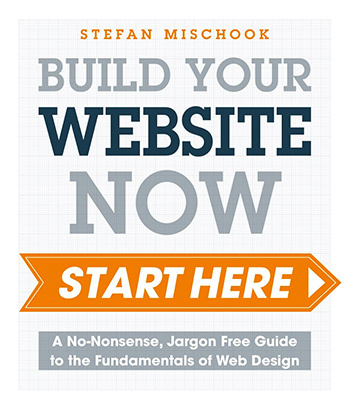 So if you really want to learn how to design great looking pages, resist the temptation to stop halfway to use a web design program like FrontPage or Dreamweaver. By finishing the tutorial you will gain a big advantage over all the others out there that gave up! Don’t get me wrong, this stuff isn’t that hard; it’s just that some people are really lazy! We cover the basics and show you a few neat tricks. We get down and dirty here giving you a solid foundation in CSS so you can use it in your own web design work right away! Supporting articles on CSS web design and a link takes you to an active CSS forum where you can ask any questions you may have. Once completed, you will have taken the next step towards total nerd glory with these articles on creating a pure CSS web page. Not just CSS styling, but CSS positioning too, that means no tables required! Once completed, you will be creating pages in sophisticated ways that 99% of web designers don’t even consider! Needless to say, you will have an advantage over the competition. All this is 100% standards compliant and should work in 99% of browsers being used today.